Wooden Child Wishbone Hanger in a white wood finish. Includes centre bar with a chrome hook and notches. This hanger is 30cm (300mm) wide. Sold as a box of 100 hangers. This charming little hanger is ideal for both retailers and domestic customers who want children’s and adult hangers to match. 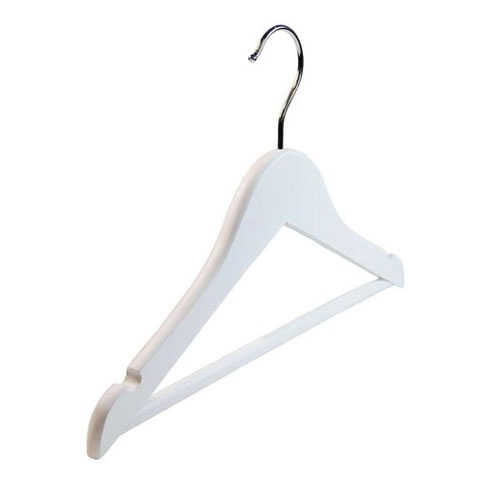 The notches and bar mean that this hanger can be used for hanging all types of garment – tops, shirts, skirts, trousers and suits.